There are times when getting a lock rekeyed is the smart way to go for your home, vehicle, or business instead of having a complete lock change. Fort Worth Locksmith Pros proudly serves Fort Worth, TX and surrounding areas by providing you with the most complete Fort Worth locksmith service that you deserve when you need it most! We have 5+ years of experience and always offer up front pricing on our fast and friendly, 24/7 locksmith service. All of our expert technicians are licensed, bonded, and insured and are known for their ultra-fast 30 min response times. 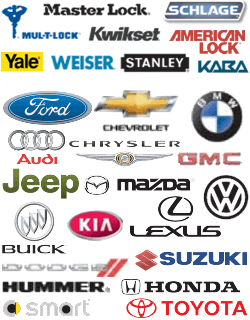 If you are ever in need of rekeying services, our mobile locksmiths are always ready to help. Rekeying is a simple process in which we work on your locks and make it so that they can accept a new key. This is an alternative to having the lock completely changed. Knowing which process is best is a very situational topic but it pays to at least understand the basics. One of the most common uses for rekeying is when locks in an older house begin to wear out. This is a better choice than changing the locks completely because older doors are not compatible with newer locking systems in many cases. Rekeying can also be the smart choice when a home or business uses the same key for all locks. This of course is in contrast to a business where certain areas are sectioned off and need their own locking mechanism. In cases such as these, a lock change would be more appropriate. 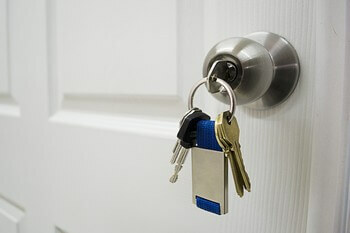 A lock rekey can also be handy for condos since they usually only have one major lock; the front door. Aside from that, rekeying can also come in handy when there are security issues at home or at your place of business to prevent unwanted access. The same can be said in instances in which there has been a break-in and tampering with the lock is evident or you suspect the intruder to have acquired a key to your home or business. Don’t forget that when you first move into a new home or business, you will want to have the locks rekeyed for security purposes as well. There are times when the carelessness of new home or business owners has lead to unwanted intrusions. Having your locks taken care of by a professional locksmith is the fastest and easiest way to not only keep your new property safe, but also to make sure that you have the peace of mind you deserve. 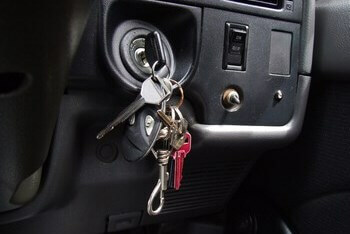 Also, be aware that we provide lock rekey services for vehicles as well. This can come in handy in a variety of situations, especially if you have lost a car key and think that it may have wound up in the wrong hands. You can never be too careful when it comes to making sure that your vehicle is safe and secure. We can perform this service for your doors and even your trunk. In many cases, you’ll want to have this service done after you’ve had ignition switch repair/replacement so that you have matching keys for everything and you aren’t forced to carry around two different sets of keys. Ultimately, it may not be 100% clear whether or not you need to change your lock or simply rekey it. This being the case, we’re always happy to lend a hand and review your situation and advise you on which course of action would be best for your specific situation. With 5+ years of experience, we are able to offer sound advice for all of your locksmith needs. If you are considering having your locks rekeyed, we’re always more than willing to help. Serving the Fort Worth, TX and surrounding areas by offering you a complete locksmith service at competitive prices is something we’re proud of. We’re always on hand to help when you need quality locksmithing services. Feel free to contact us now if you have any questions or if you have a lock situation that needs to be resolved quickly. If you’d like to know more about our services and up front pricing, we’d be happy to discuss that with you. Fort Worth Locksmith Pros is always on hand to help when you need emergency services with our 24/7 locksmith service so don’t hesitate to let us know what you need. You can also request locksmith service via our online booking form. Lock Rekey Service http://locksmithftworthtx.com/lock-rekey/ 3.6/5 based upon 18 reviews.